Ready to move up? Bump up those calorie goals! Apple Watch tracks daily exercise and movement differently than other fitness and activity trackers. Instead of focusing on steps and generic exercise, Apple Watch focuses on calories. 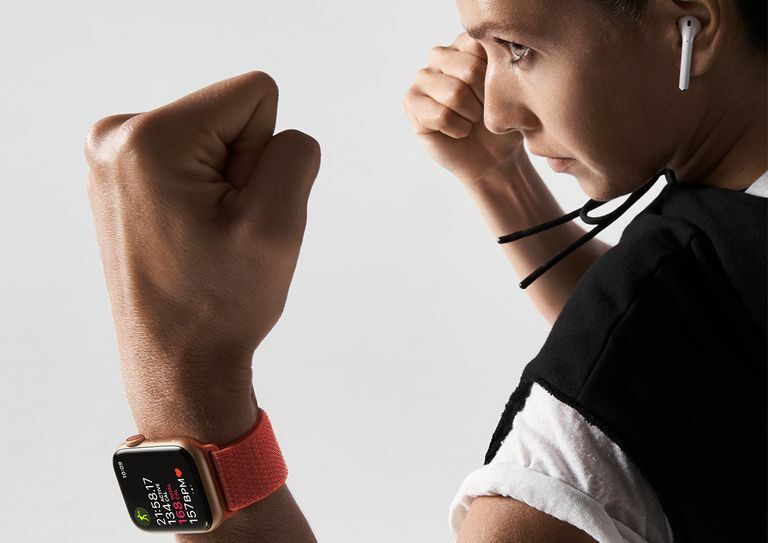 The Apple Watch move goal is really a daily calorie goal that takes into account both active activity like exercise and passive activity such as sitting or sleeping to determine the number of calories burned for the day. The move goal, exercise goal and stand goal comprise the three daily rings you can close on your Apple Watch, but the move/calorie goal is the only activity goal you can change. While you cannot change the exercise goal on the Apple Watch, which is set at thirty minutes, you can complete this goal multiple times in a day. The Activity app will even reward you for completing two or more exercise rings in a day. You can also track steps, flights of stairs, general exercise, specific workouts and more. Apple Watch will suggest new move goals as you use it, so if you are consistently beating your move goal, you may see a notification asking if you want to bump it up a notch. However, once you've bumped it up a few times this way, Apple Watch's suggestions can become a little unrealistic, sometimes going from 640 calories a day straight to 1200+ calories a day. Instead of going with Apple's suggestions, you can change the move goal on your Apple Watch yourself. First, launch the Activity app on your Apple Watch. This is the app icon with the famous three rings. Tap the screen and then apply some pressure with your finger. This is called a 3D touch. You can use the plus and minus buttons to adjust the daily move goal. Once you have selected the amount of calories you want to burn in a day, tap the Update button. The Apple Watch tracks steps and flights of stairs climbed, but unlike the Fitbit and some other activity trackers, this isn't a primary goal for the Apple Watch. Instead, this data is used to complete the move goal, and in the case of climbing stairs, it may also count towards closing the exercise ring. But don't worry, you can see the number of steps you've taken at any time and compare them with your friends and family. Launch the Activity app on your Apple Watch. Total steps, distance walked and flights of stairs climbed will all be toward the bottom of the page after the activity graphs. It's easy enough to check your status for the day by simply launching the Activity app on your Apple Watch and scrolling down the list using the watch crown. But what about a weekly breakdown? There's no need to pull out your iPhone to check your weekly total. Open the Activity app on your watch. Perform a 3D touch by resting your finger on the display and then pushing down with more pressure. You can scroll down to see a weekly summary across a number of activities including how many steps you have taken, total calories burned, average calories burned per day, flights of stairs climbed, etc. You can also view your past workout history using the Activity app on your iPhone. Simply launch the Activity app and tap the History tab at the bottom of the screen. Don't want to be reminded to stand every hour? If you like checking on your daily calorie goal but don't want to be pestered about working out, or if you turned off some notifications and want to set them back up again, you can easily flip those switches using your iPhone. Tap My Watch at the bottom of the screen if you are not already on the My Watch settings. Scroll down and choose Activity. Tap Notifications Off to turn off the ability for your watch to send you activity reminders. You can also choose Send to Notification Center if you want to reminded without your watch buzzing at you. This will display the red dot at the top of the screen alerting you to a notification, but you won't get a sound or haptic notification. You can individually turn off your Stand Reminders, Daily Coaching, Goal Completions, Special Challenges or Activity Sharing Notifications. If you want to customize the Breathe notifications, tap the "< My Watch" button at the top-left corner of the screen and then choose Breathe. You will see the same notification choices at the top of the screen along with the ability to customize other Breathe options. If closing rings isn't enough for you, how about awards? While your Apple Watch can't give you a $5 discount to Starbucks for doing thirty minutes of exercise in a day or burning 10,000 calories in a month, there are a number of different digital awards ranging from the perfect week of completing all activities, finishing a day with 200% or more of your calorie goal and monthly challenges. Tap the Award tab at the bottom of the screen. Special awards like the monthly challenge are listed at the top. Among the Close Your Rings awards are move, exercise and longest move streak awards, so you can check your best days and try to set a new record. First, open the Workout app on your Apple Watch. This is the green icon with a man running in the middle. Choose the type of workout from the list. Your frequent workouts will be listed toward the top. If you don't find your workout, choose Other. At the end of the workout, you can give it a name to track it at later times. Once you've chosen your workout, a three-second timer will appear and then you are expected to go, so be ready when you choose the workout on your watch. When you are finished, slide your finger across the watch face from left to right to open up the workout menu. You can pause a workout, end a workout, lock a workout or choose a new workout. To check the stats of your workout, launch the Activity app on your iPhone and choose the Workouts tab at the bottom of the screen. While workouts are tracked separately, the calories burned in your workout still count for your daily move goal.